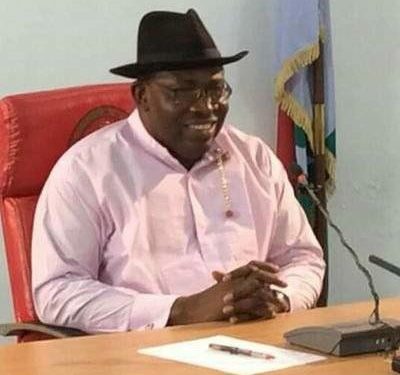 Governor of Bayelsa State, Hon. Seriake Dickson on Friday called for a return to a truly federal state that would ensure fairness and equity. The governor who spoke when he appeared on a programme on AIT and Raypower tagged “ People , Politics and Power” and “ The Mandate” respectively, argued that the current state of the nation was as a result of distortions in the way the nation was organised. He, therefore repeated his call for a “reorganisation” or “restructuring” of the country to minimise the several agitations currently going on all over the nation. Governor Dickson maintained that because of the anxiety raised by the word “restructuring”, a Committee by whatever name could be set up to distil the several reports that had been generated in the past. “That is the very essence of the call for some kind of meeting of minds of Nigerians to reorganise, because a lot of people have issues with the word restructuring and then make it more stable, lasting and prosperous. “That’s the root of the call for restructuring, which by the way is reorganisation. We have to cool the heat because nobody will benefit from war or crisis or violence”, he advised. Drawing examples from the rest of the world, the governor said countries that did not allow for debates and arguments in the past ultimately disintegrated. “Look back at what happened (to Nigeria) in the sixties . Look at Sudan and see where they are. Yugoslavia is now almost seven countries. Every nation is an artificial creation. “ So, very often I hear people say Awolowo (Obafemi) referred to Nigeria as a mere geographical location. He was right. Every nation is. What gives essence to nations is shared values, shared views as to what citizens think of themselves and of the country”, he insisted. According to the governor, the founding fathers had a lot of conferences within and out side Nigeria which eventually led to what Nigeria has become. He added that Nigerian politicians have generally failed to understand what democracy entails, stressing that arguments , debates and disagreements should be encouraged in the kind of political system that obtains in Nigeria. “The political class has failed and I am talking generally. And that even manifests in the internal disputes . Political leaders now don’t understand the concept of dialogue and argument. “What they understand is violence, money politics, propaganda and blackmail, selfish agenda, promotion of ethnic and religious divisions. “It is playing out in the PDP where a common dispute is in the supreme court. We are still waiting for the judgement. There is crisis in APC too. Leaders don’t talk. Its worse in APC. I hear since they took over power they have not been holding NEC meetings and all that. It’s a shame”, he added. He said that since Nigeria has become crisis-ridden the federal government should set up a technical commitee to ease the current pressure. “We have gone from crisis to crisis and we are almost at the precipice. That’s why I made the suggestion that the FG should set up a committee. You don’t need to call it a constitutional conference, just a committee that will harness all the former reports, bring out the salient issues and then give it to the National Assembly leaders .